Happy Thanksgiving week for those who live in the States. A short workweek is always a mixed bag of scrambling to get work done before the holiday and then enjoying a few days out of the office to relax with friends and family (and a few books!). I cringed a little when I typed that heading. 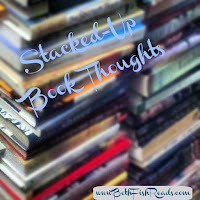 Yes, we're actually into the last weeks of the year, and I still have a lot I want to get done here on Beth Fish Reads. Coming up in November, you can expect several posts with gift ideas, a bookish way to help hurricane victims, and a new tea company I discovered, along with my usual photographs, cooking posts, and roundups. 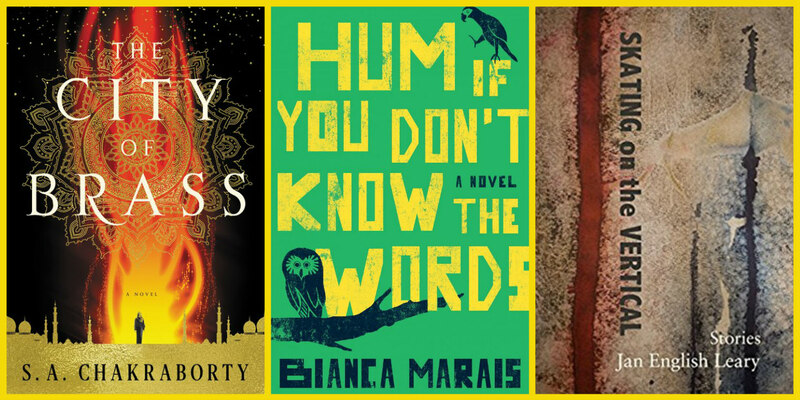 Over on the AudioFile blog, you'll find the first post in my series featuring audiobook narrators (available on Nov. 23). During December, I'll continue with gift suggestions, my best of 2017 lists, some audiobook-specific posts, a couple of movie reviews, at least one year-end wrap up post, and of course book reviews. If you recall, I spent some much-needed R&R time with my women friends, so I didn't have a lot of reading time. 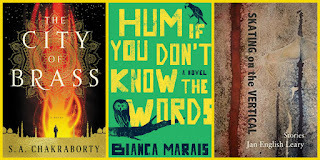 I did manage to finish one nonfiction audiobook and a graphic nonfiction, and I've started a fiction audiobook, a short-story collection, and a fantasy. 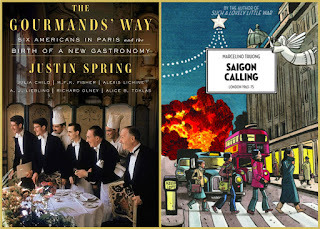 The Gourmands' Way: Six Americans in Paris and the Birth of a New Gastronomy by Justin Spring (Farrar, Straus and Giroux, Oct. 10). 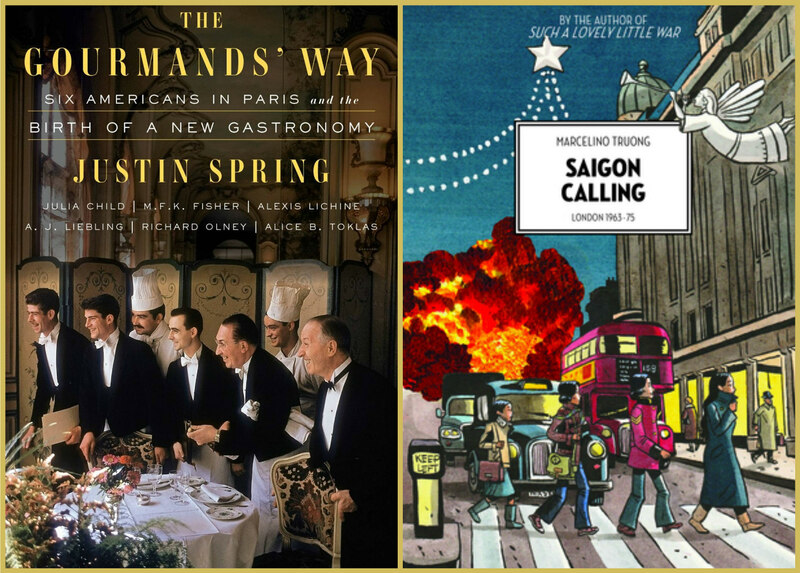 Focusing on the lives and work of A. J. Liebling, Alice B. Toklas, M. F. K. Fisher, Julia Child, Alexis Lichine, and Richard Olney, Spring explores America's relationship with French wine and food from the 1930s, through the war, and into the late twentieth century. I loved this well-researched look at some of the classic early food writers, especially because Spring colors his account with gossipy bits and doesn't strive to always paint a pretty picture. It was fun to get a glimpse of the real people behind the curtain of white-washed fame. This is a must-read for all foodies. I listened to the unabridged audiobook (Blackstone Audio; 13 hr, 30 min), performed by Bronson Pinchot. My full audiobook review will be available through AudioFile, but here's the short take: I was for the most part impressed with Pinchot's accents, although his delivery could have been smoother. Still, you won't be sorry if you choose to listen instead of read. Saigon Calling by Marcelino Truong (Arsenal Pulp Press, Oct. 17). This is a moving and not always easy to read (emotionally) account of the Vietnam War years as seen through the eyes of a family who managed to escape to London before American involvement escalated hostilities. Truong, whose father was a Vietnamese government interpreter and whose mother was French, writes about how immigration and the war affected his family. His father struggled to find a new identity after leaving the embassy, while his mother had issues with bipolar disease. Marco and his siblings had trouble finding a place in an increasingly hip London and in their French school. And all were worried about family and friends who remained in Vietnam during the war and after the fall of Saigon. The artwork is expressive, with life in England and France rendered in vivid colors and scenes of the war colored mostly in browns. This is the second of Truong's memoirs, but I didn't feel lost starting with this book. My thoughts so far: I love City of Brass, I have mixed feelings about Hum if You Don't Know the Words, and I'm enjoying the stories in Skating on the Vertical. More about these books next week. The Gourmands' Way sounds wonderful. Hope you have a happy Thanksgiving! Oooh, I think I'd love The Gourmands' Way! Have a great Thanksgiving! I'll be looking forward to your potential gift lists. Come see my week here. Happy reading! Enjoy Thanksgiving! I can't believe the year is almost over, either. Sigh. A copy of The Gourmand's Way came into the shop and got snapped up quickly. Have a Happy Thanksgiving! 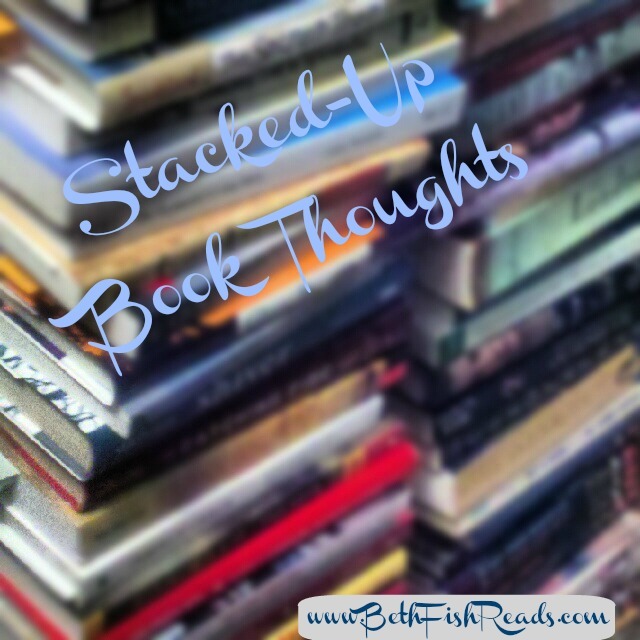 I like your lists, they always give me ideas for what I want to read and for gifts for bookworms. The Gourmand's Way looks really good. Thanks for sharing all of these books. I can't believe the end of the year is almost here. This year went too fast. This year went by so fast. I say that every year but this one really sped by. I can't believe it's almost the end of the year. It just went way too fast. Have a great week! Saigon Calling and City of Brass both sound good, in different ways obviously, but yeah. And I agree- the end of the year is approaching so fast! It sounds like you have a lot of great posts planned though. Looking forward to seeing those! once again i am behind in blog visits .. i hope you and Mr BFR had a wonderful thanksgiving!